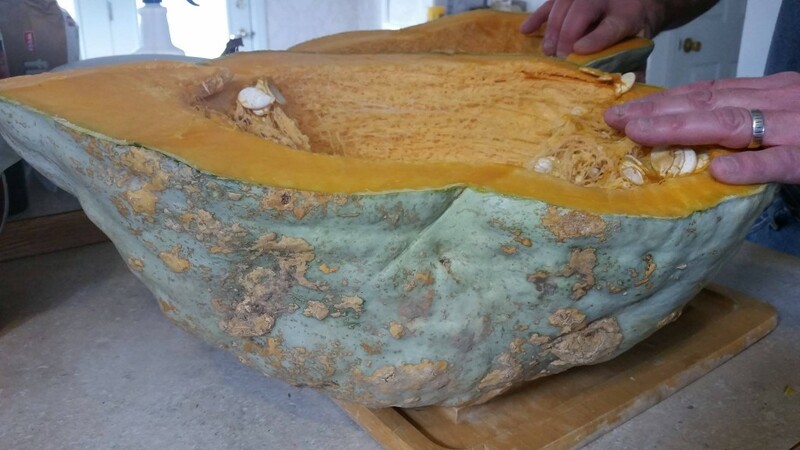 We had one last bag of hubbard squash puree in the freezer, time to try some new recipes. The first one I made was Pumpkin Cream Cheese Bread. I love my Central PA Winter Squash Bread, but I wasn’t sure about just adding a cream cheese batter into that recipe, so I followed the new one for the bread, as well as for the cream cheese batter. I used the hand mixer vs the pretty power tool KitchenAid for the cream cheese batter. Probably the cream cheese could have been a little softer than it was. 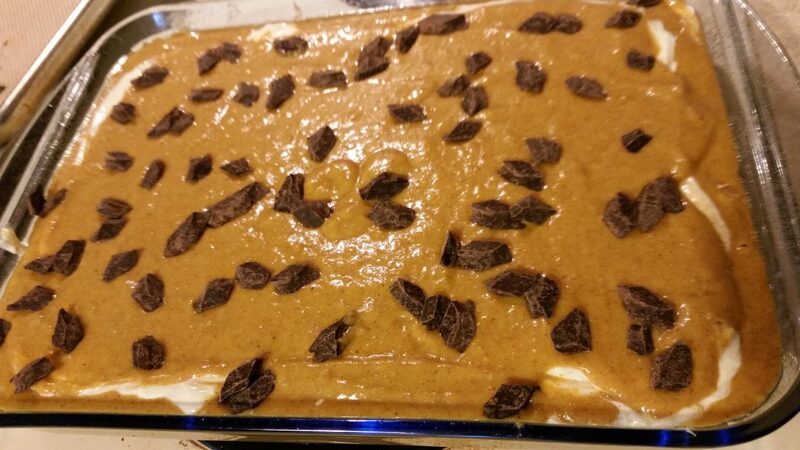 The pumpkin batter called for mini chocolate chips. I did not have any, so I decided to add chocolate later. Pouring layers of batters is a challenge for me. I am not very good at estimating how much is the right amount for each layer. 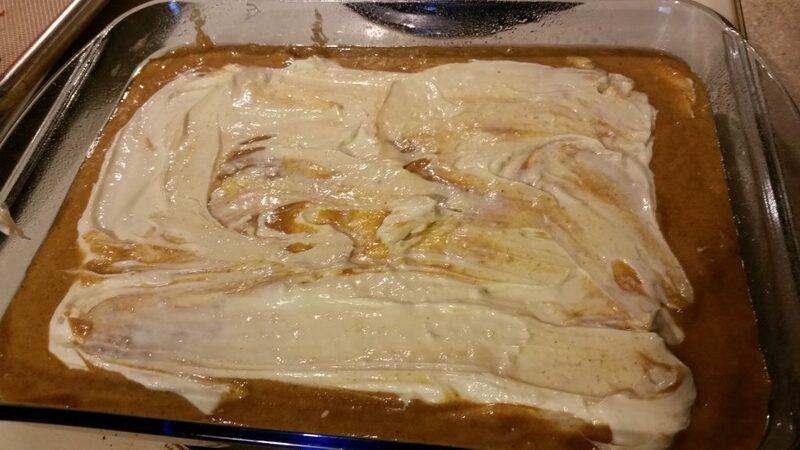 And then I am not sure what the best way is to spread the batter so that it just spreads and doesn’t mix too much. The cream cheese batter was definitely thicker. The recipe divided it all up into loaves of bread and a dozen muffins. I decided to do my usual and just make one large 9×13 baking dish full. And let me tell you, it was FULL. I was a little nervous about how this would go, to be honest. It took a while for the middle to cook through, but it looked great, no spillage. I liked being able to see the cream cheese area through the cracks. The finished product is beautiful and it is delicious. I took another picture, trying to be artistic, but also trying to show off the beautiful bouquet of dahlias from a neighbor. I’m not sure I did a great job showcasing the bread in this one though. Just a note that I typically do not include cloves when they are an ingredient in a recipe and I did not use them this time. I do think I will try the cream cheese batter with my old favorite for the bread part next time. 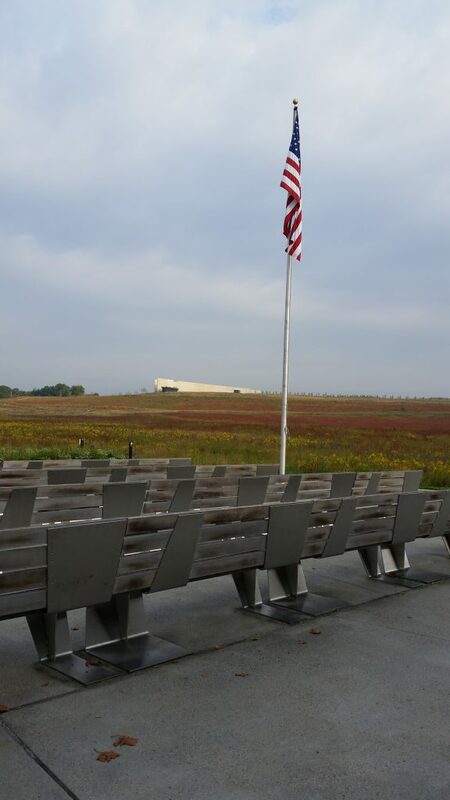 The second piece to our day trip, after the Flight 93 Memorial, was the Mother Earth News Fair. We have wanted to attend for the past few years, but the timing wasn’t right. A few months back I received a promo email for a great deal on a flash drive with 40 years of Mother Earth News articles and two weekend passes to the Fair. I ordered them. We’ve been magazine subscribers for probably 10 years and have learned a ton about homesteading. We do what we can in our current living situation, but we are in no way close to being off the grid. The first thing we encountered when we arrived, was a HUGE line of cars on the windy road that leads to the parking areas. It probably took 20 minutes just to get to the parking lot, then there were buses (or you could walk) to get from the lot to the Fair. Unfortunately that meant we missed the first session we had planned to attend. 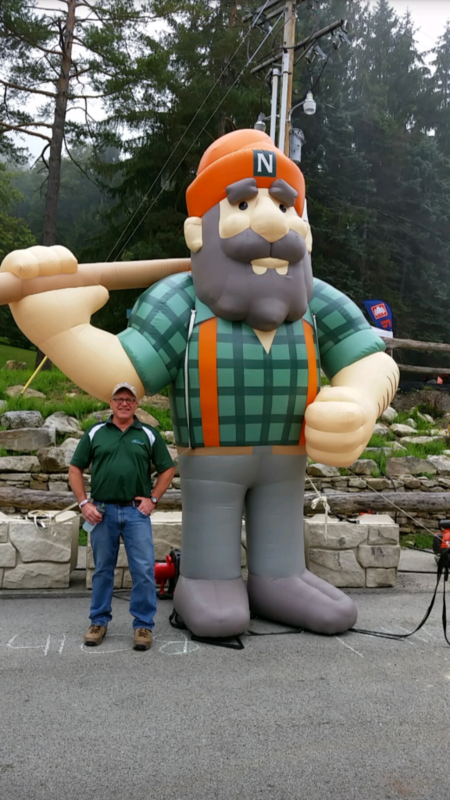 This was the first guy we ran into upon reaching the main vendor area. We spent the next hours wandering around the many booths, both indoors and outside. 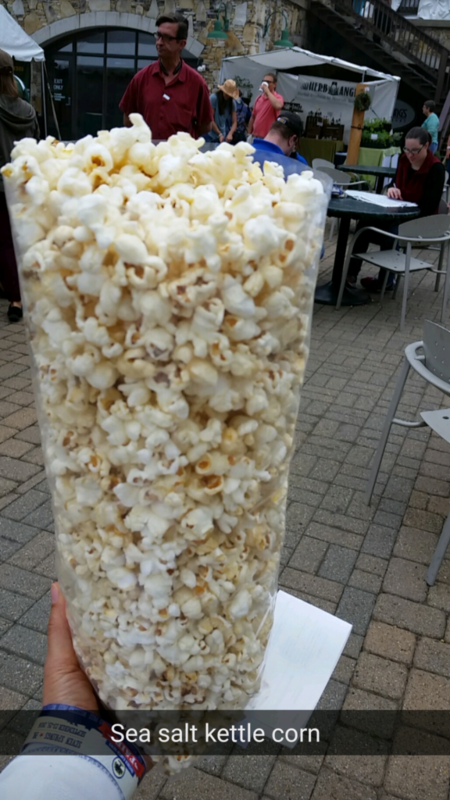 In order to fuel up for the big day, we thought we should try some kettle corn. We bought a bag from Urban Kettle. SO SO SO GOOD!! 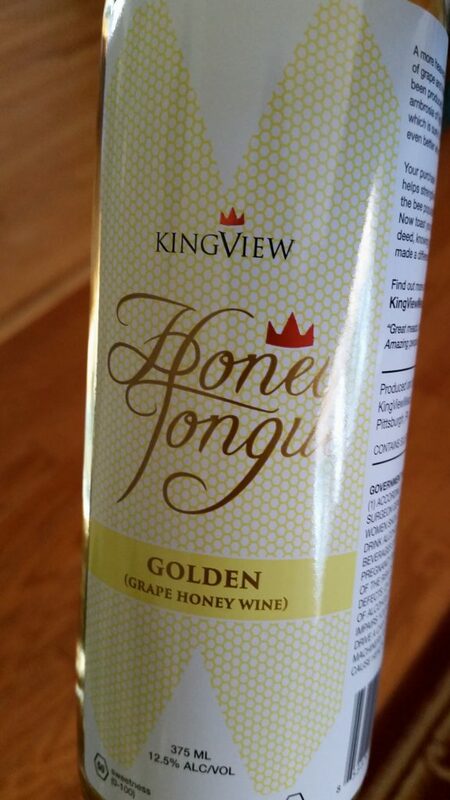 Not far from the kettle corn booth was KingView Mead. We did a little mead tasting (at 10:30am) and ended up purchasing two bottles from them. 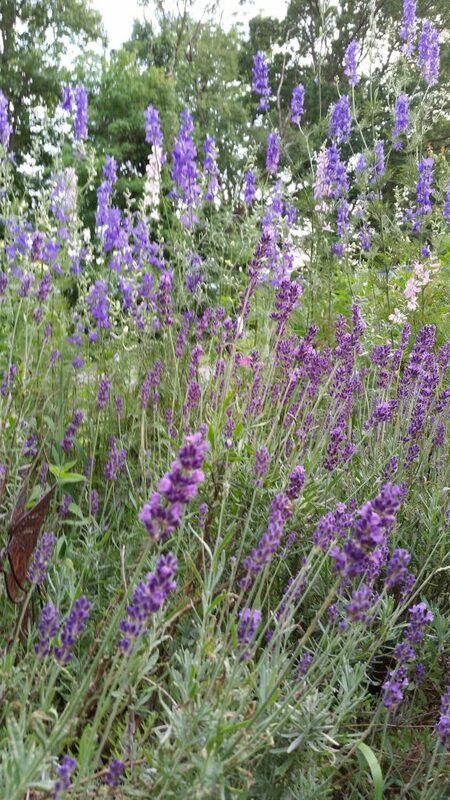 They give 10% to help the bees, which we appreciated. We entered a raffle to win a bee keeping kit from them, but I guess we didn’t win. 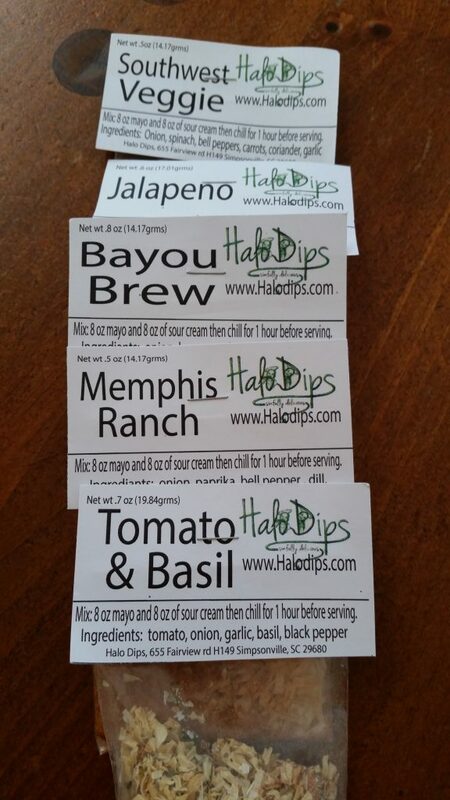 Next to KingView was HaloDips. They had about 20 different dips you could taste test. We picked out 5 and I’m anxious to mix the first one up–if I can decide which to choose. After the first round of booths, we meandered to the area reserved for booths with animals. There were some beautiful heritage breeds represented. 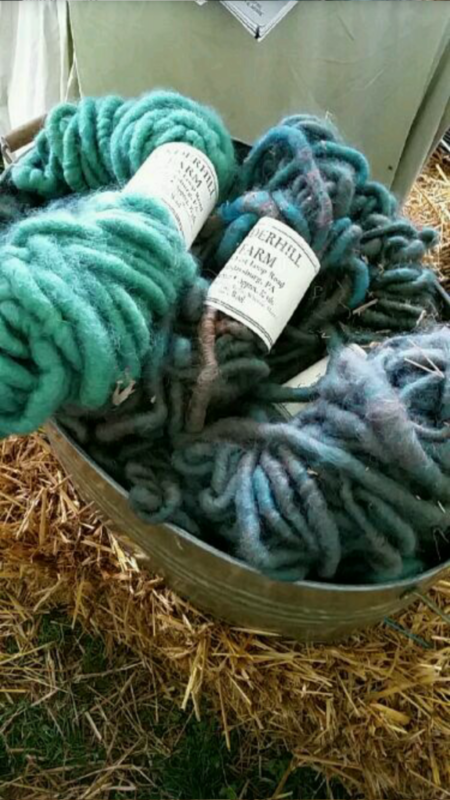 Sheep, alpaca, goats, bunnies, cows and more were among the booths selling hand spun yarns, felt, clothing, feed, fencing, and so on. These colors at the Underhill Farm booth grabbed me. Thick strands with a core. 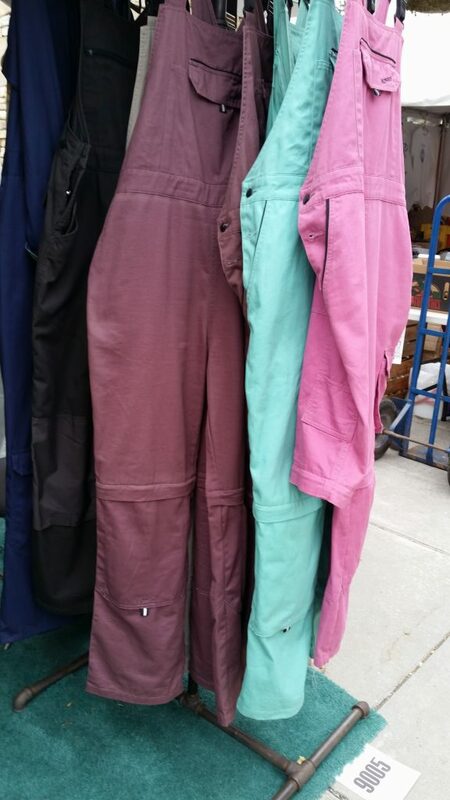 I have no idea what I would make, and they were justifiably spendy, but I just loved the colors. Then we worked our way back around to the main building area. On the second floor was a booth with overalls and coveralls. We learned that the company is Rosies Workwear inspired by Rosie the Riveter and all of their clothing is made specifically for women. This was where our big purchase was. Overalls, in petite, with tons of pockets (I love pockets), removable knee pads, adjustable waist, and zip off legs to make a summer version. Wow! I chose the eggplant color. At this point, we needed more sustenance. We started seeing people walking around with dishes of what looked like ice cream and followed their trail. It was actually Coconut Bliss, a non dairy, non soy, gluten free frozen treat. There were quite a few flavors to choose from, but my love of chocolate led us to share a dish of the dark chocolate variety. OH. MY. GOOOOODNESSS!! It was absolutely delicious and I will be looking for it in the stores. Also, they have a very cute animated story about their start. We saved the indoor booths for last. It was a little bit of sensory overload indoors. And so many different companies/products. 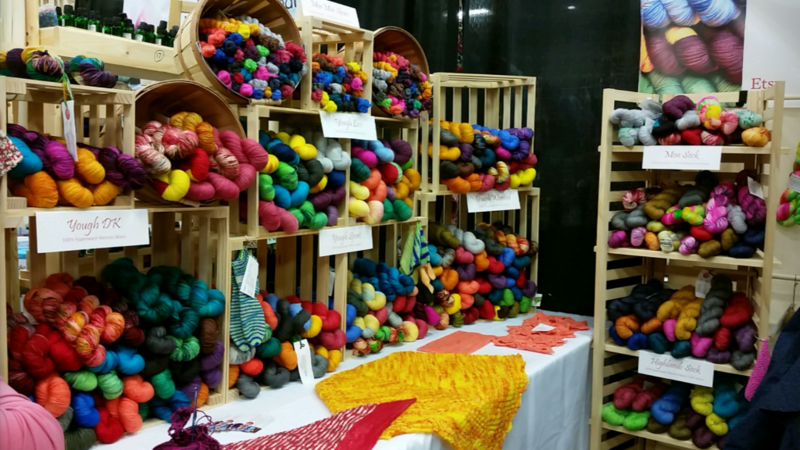 I did love the colors in the Youghiogheny Yarns booth, which the owner hand dyes and paints. The last thing we did was attend a session on making yogurt. It doesn’t seem that difficult, and when I started talking with friends about it, more of them said they had made it before than I had anticipated (I had anticipated no one would have made it before). We are definitely going to try it very soon. There was so much more that we saw and vendors whom we talked to, but this is a good sampling. We had a really great day together. During the drive I talked about my desire to find another hobby or two, besides the gardening and baking and Fargo-ing, to add to my life. I am still feeling like I’m Empty Nest lost. Stay tuned for when I add a new category to this blog called Hobby Adventures. I’m going to try a bunch and I’ll take you along with me as I do. Yesterday the hubby and I went on a road trip. 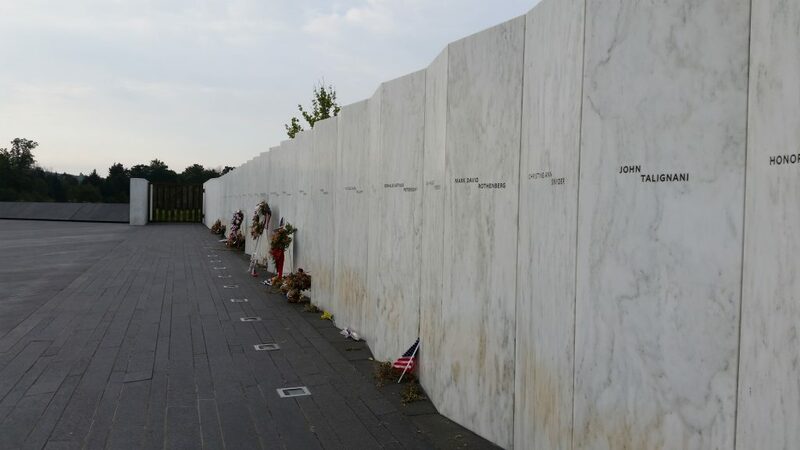 I will tell you about the Mother Earth News Fair in my next post, but our first stop was the Flight 93 Memorial. I have been to the Memorial in NYC. 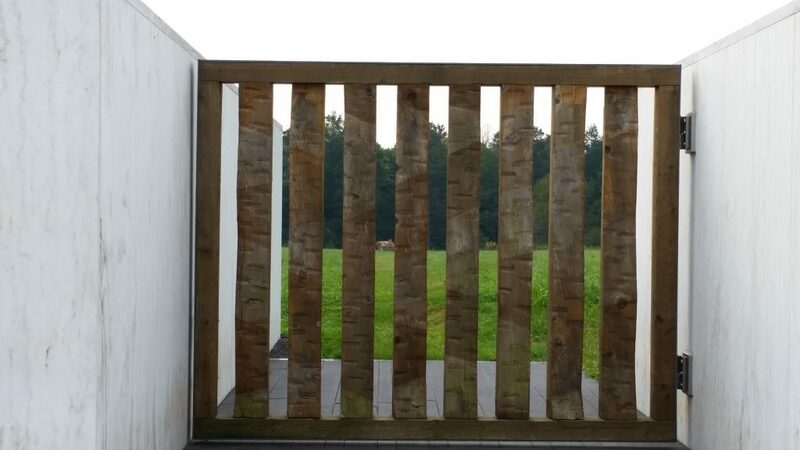 These are both very solemn, very impactful and very beautifully designed memorials and yet, they feel completely different. I realize that part of that is due to the overwhelming crowds of people who were with us in NYC while, for a while, we were the only ones yesterday. Of course the settings are extremely urban vs rolling hills rural. But there was something else I couldn’t quantify that I know I felt in both places, but in a different way. 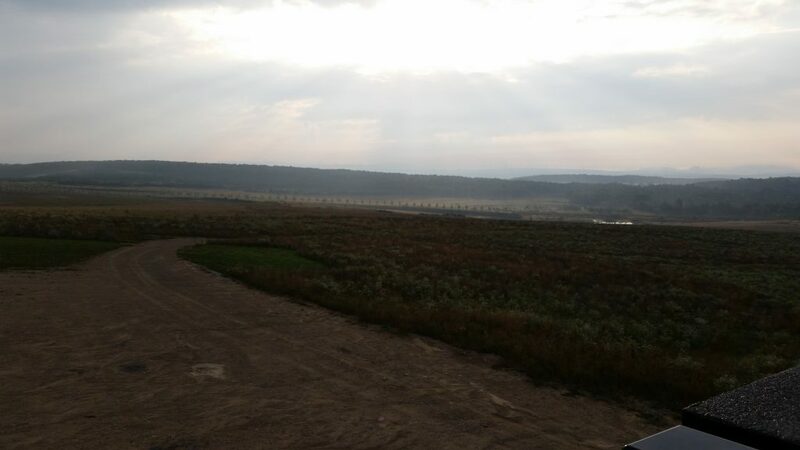 I will stop there and just share some pictures, though pictures cannot replace the experience of being there. 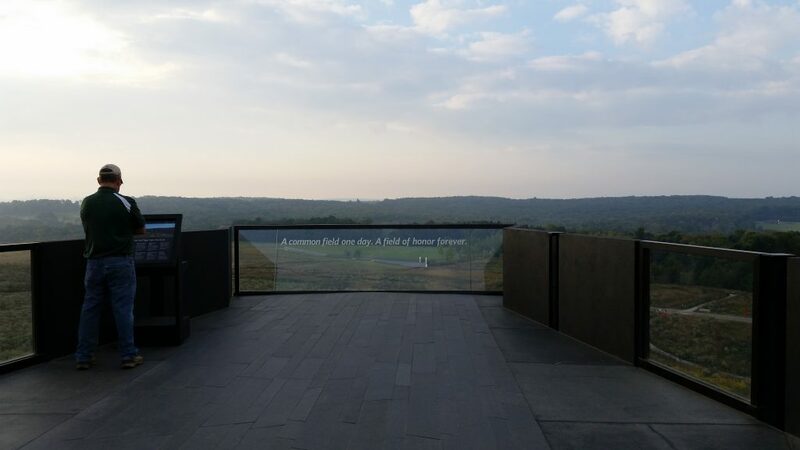 Visiting any memorial is a way to recognize tragedy, sacrifice and loss, and we should all visit when we can. 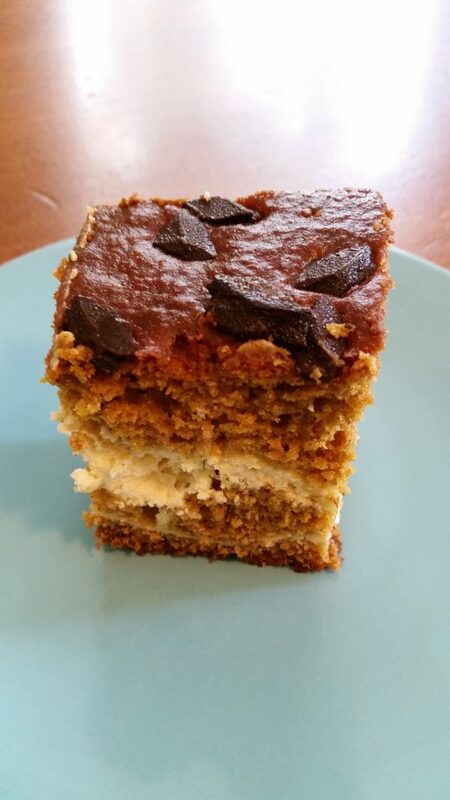 After writing about the pumpkin bread I made in my last post, I started thinking about all of the ways I tweak the Downeast Maine Pumpkin Bread recipe I use. The question that I came up with is, how many changes in a recipe constitute a new recipe? I think I change enough when I make this bread that it is not the same recipe. Therefore, I have decided to post my first original recipe. We will name it Central PA Winter Squash Bread. To start with, it is rarely “pumpkin” bread. I most often use Hubbard Squash instead of pumpkin, but have been known to use butternut or other winter garden squash. Next, I substitute unsweetened applesauce for half of the oil. 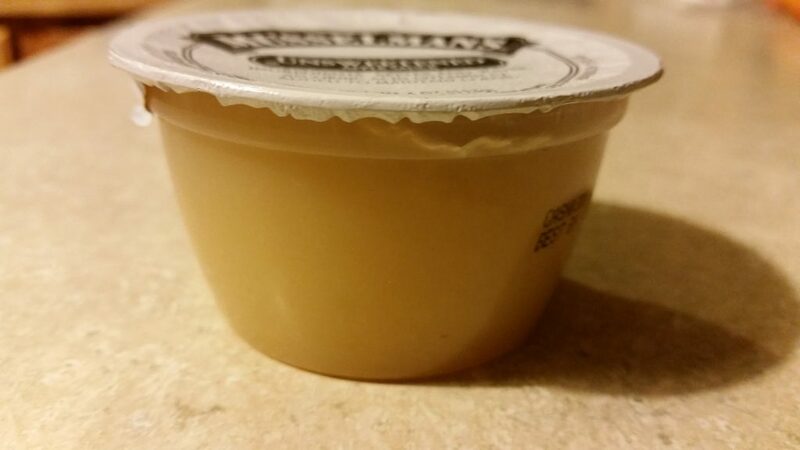 We don’t typically eat applesauce on its own unless it’s homemade, by me or by our neighbor who makes amazing apple sauce, so I keep the lunch box containers around, which are about 1/2 c.
The original recipe calls for 3 cups of sugar. With the extra sweetness of the hubbard, or butternut, etc., and the applesauce (even the unsweetened is sweet), I can reduce the sugar to 2 cups. On top of that, I use one cup of white and one cup of brown sugar. 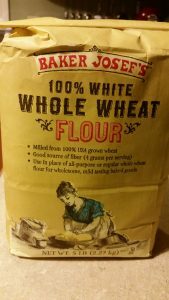 Next, I often substitute at least half white wheat flour for white flour. I like the softer consistency of Trader Joes flour. It is rare that I put cloves in any recipe, and this one is no exception, I do not use cloves. But I do use semi sweet/dark chocolate chips or chocolate chunks! Dark chocolate is healthy, right? Once the batter is in the pan I sprinkle chips/chunks over the top. Instead of loaves, I use a 9 x 13 baking dish. Preheat oven to 350 degrees F (175 degrees C). 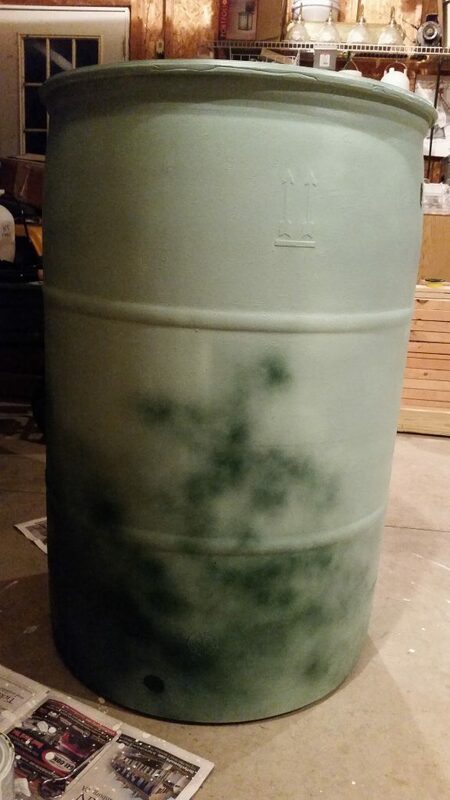 Spray oil (coconut oil works well) a 9×13 inch baking dish. 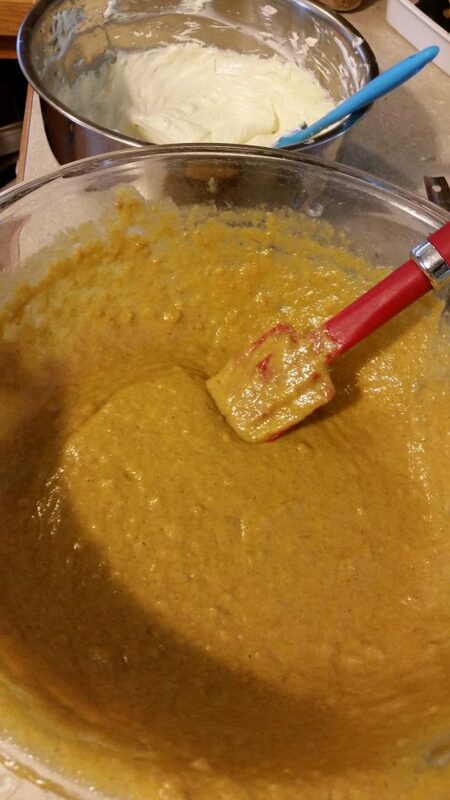 In a large bowl, mix together squash puree, eggs, oil, water and sugar until well blended. In a separate bowl, whisk together the flour, baking soda, salt, cinnamon, nutmeg, and ginger. Stir the dry ingredients into the squash mixture until just blended. Pour into the prepared pan. Bake for about 50 minutes in the preheated oven. Bread is done when toothpick inserted in center comes out clean. It’s been an interesting few weeks, and the longest number of days between posts since I started this blog about 9 months ago. We have said some temporary and more permanent good-byes, and saying good-bye is hard. There has been a lot going on with garden veggie processing, baking, Fargo-ing, kitchen updating and some running. 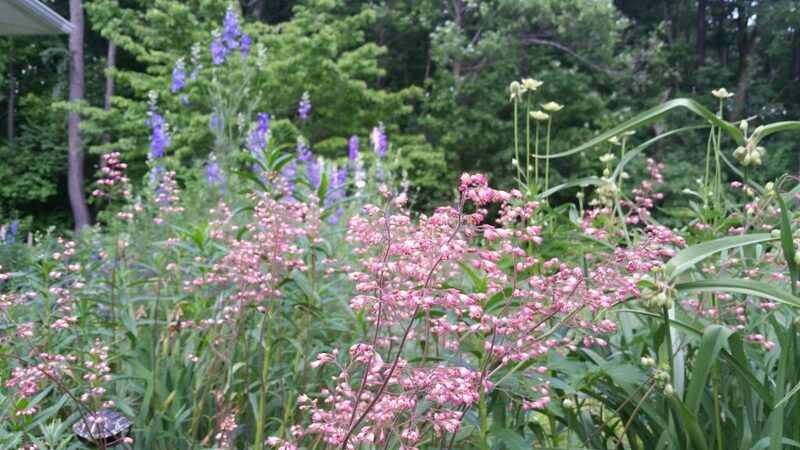 There has not been enough going on with cleaning, organizing, weeding…but really, when is that list ever done? Also, blogging is fun, but it’s hard work. I’m pretty sure I’ve had Blogger’s Block (is that a thing?). The process of coming up with ideas for posts, taking and editing pictures, and putting words together has seemed like too much time and energy…until today. I have done a lot of baking, mostly to gift to others, but I’ve been baking the old favorites and not adventuring into new recipes. 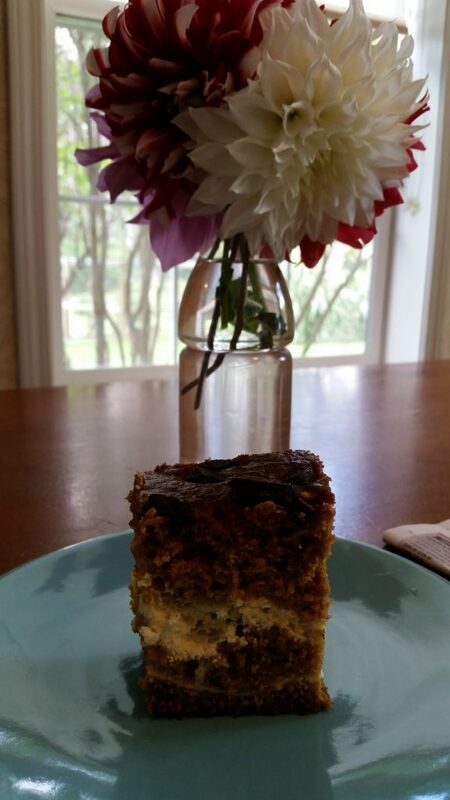 The most recent thing I baked was Downeast Maine Pumpkin Bread, also an old favorite, but maybe new since the blog. Though I generally follow the recipe, I have tweaked it quite a bit, using hubbard squash just for starters. I also cut the sugar down by one cup and use a cup of white sugar and a cup of brown. I use 1/2 cup applesauce in substitution for 1/2 of the oil. I use 1/2 white wheat flour instead of all white. I leave out the cloves, which I do for most recipes that call for cloves. 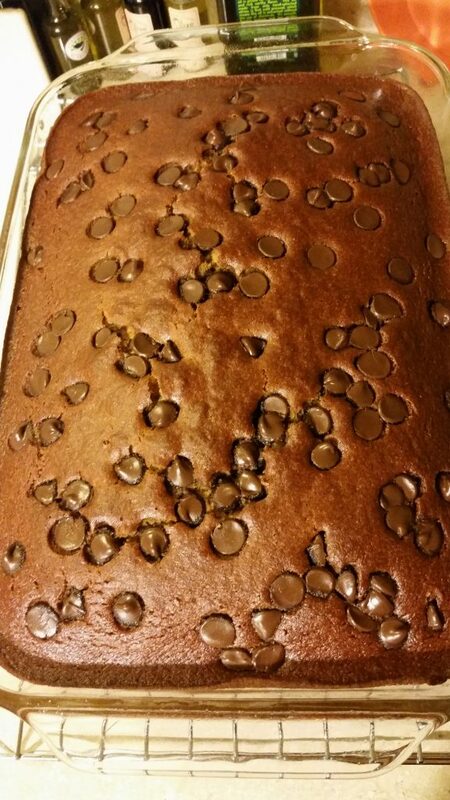 I finish it off by adding semi sweet chocolate chips because everything is better with chocolate. I spent a few hours over the weekend making fresh salsa, now that we finally have a few ripe tomatoes. 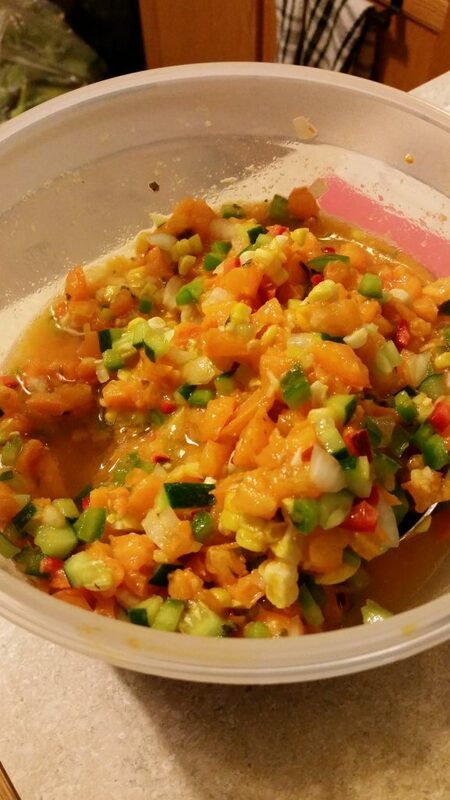 I added onion, cucumber and peppers (green and Hungarian Hot Wax) from the garden, locally grown corn (more on that in a minute), a little vinegar, lime juice, cilantro, salt and pepper. Hubby said it was the best ever. In the top left corner of the salsa, you can just see a plastic bag full of many ears of corn. 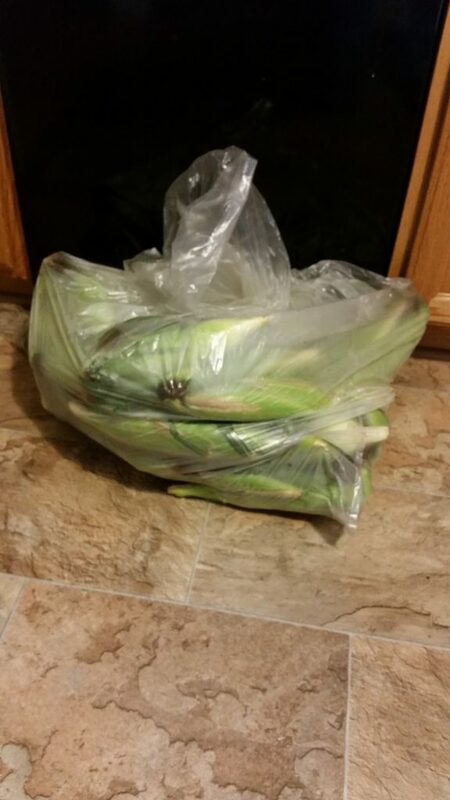 That bag is actually the second bag of corn our neighbors gave us. Here is a picture of the first bag. Although I didn’t actually count, I believe we husked, steamed, cooled and sliced (for freezing) around 6 dozen ears. Thank you wonderful neighbors! 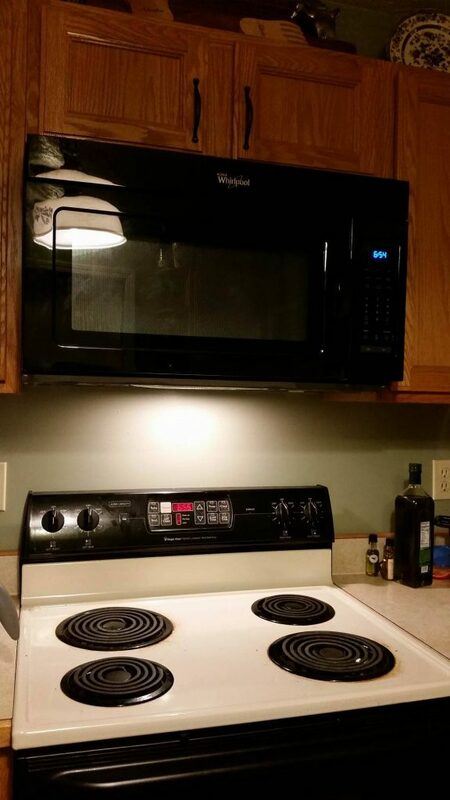 And, to top off the weekend, for the first time in our homeowner lives, we have an over the stove microwave. Thanks to the hubby for his hours of work on this baby! Although it made good sense on its own, especially given that the current unit is 20 years old, there was some ulterior motive. We are hoping that we can use the space our current microwave is sitting on for more baking room. I will stop there for now. Happy Monday to all! 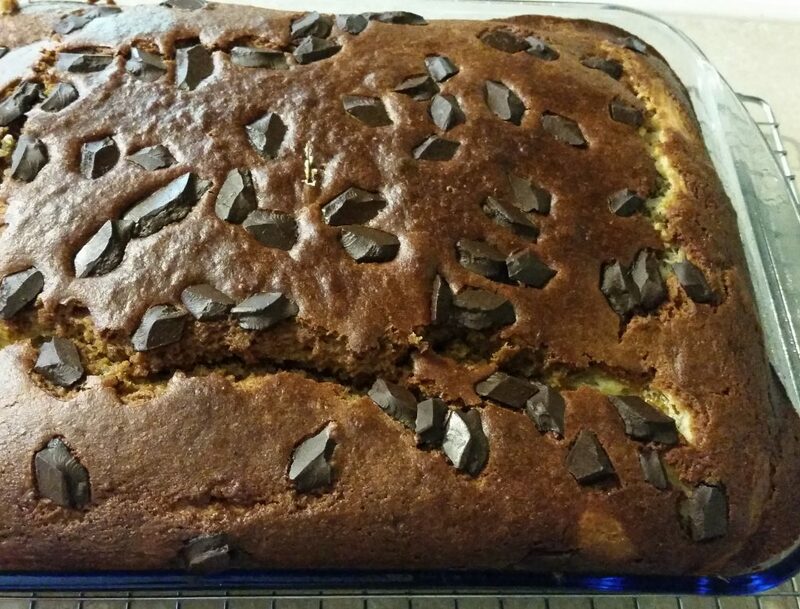 I haven’t been doing much experimenting with new recipes, mostly baking the tried and true. Hoping that cooler weather will come through soon and usher in some inspiration to try Fall themed goodies. Over the weekend I was sorting through pictures from the spring and summer and there are some that did not get posted, which should have. I think that the post-long weekend funk is a great reason to have some pretty pictures to look at. 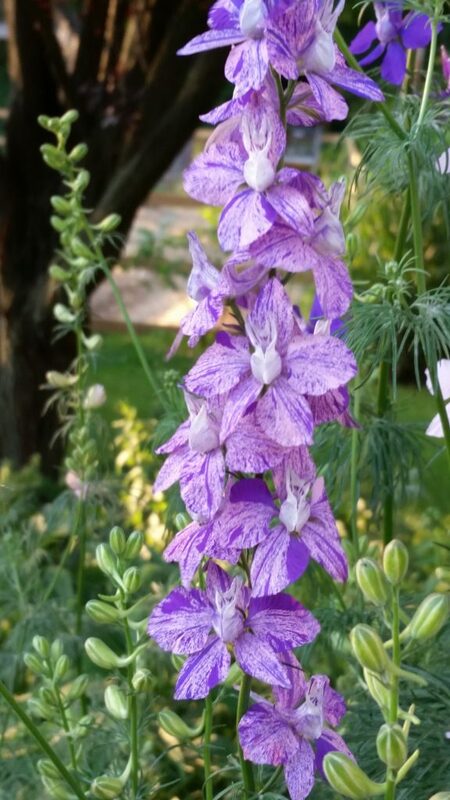 It was a great year for larkspur, until the rain stayed away too long. 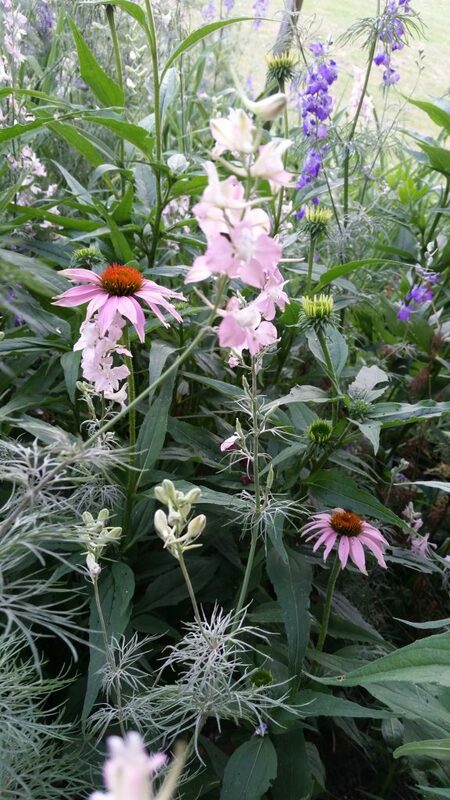 The larkspur and lavender together were awesome! 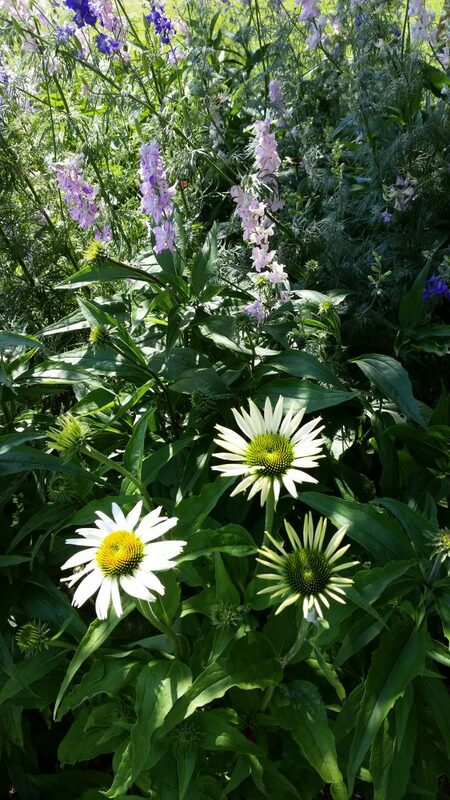 Lack of rain impacted the white and pink echinacea as well, beautiful in the early part of the summer. 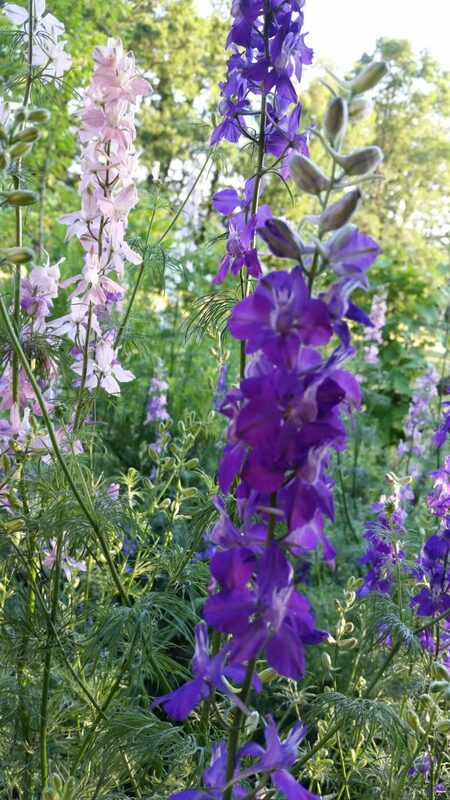 Beautiful choral bells this year. 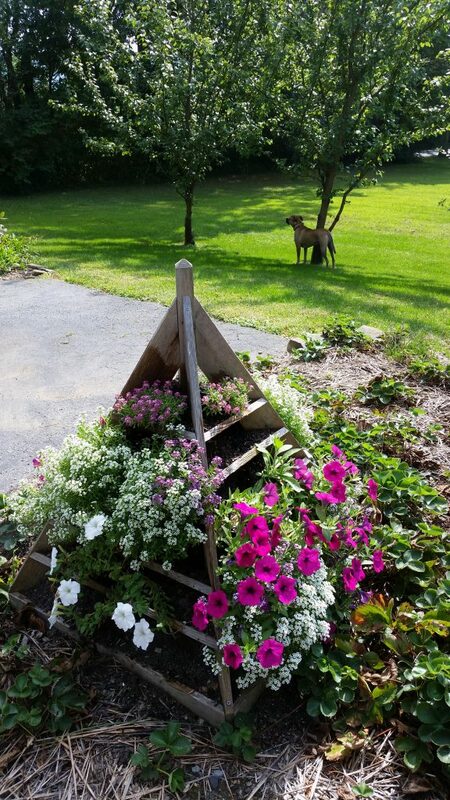 The former strawberry tower, which stunk as a strawberry tower, came into its own as a flower tower this year. 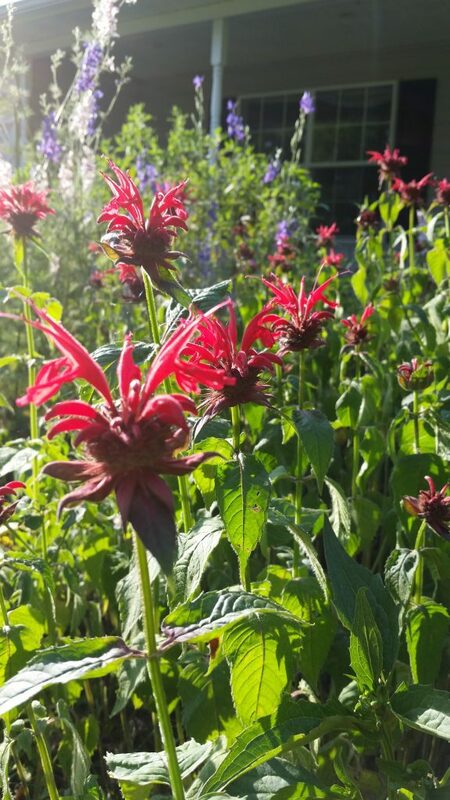 Bergamot/bee balm brought in the hummingbirds. 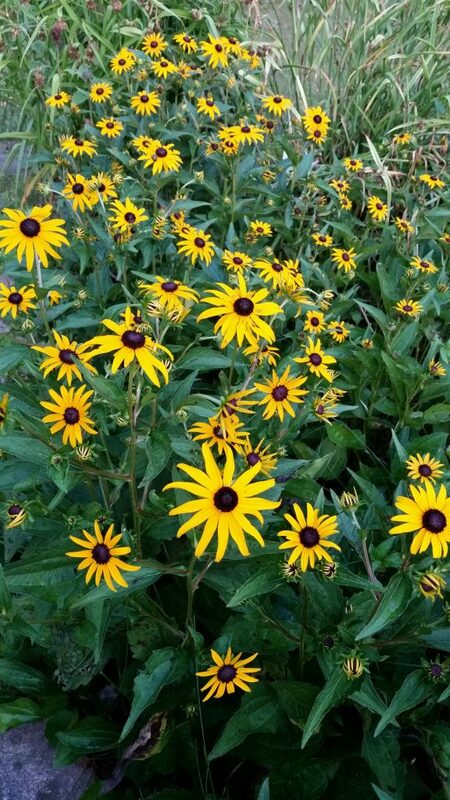 And the black eyed susans were the only color around during the worst of the summer drought. I will leave it at that for now. There are more. I have really been enjoying taking pictures of food and flowers and goodies and veggies, etc. Thank you for letting me share them with you. It was a pretty darn dry summer, and it was super stinky hot too. 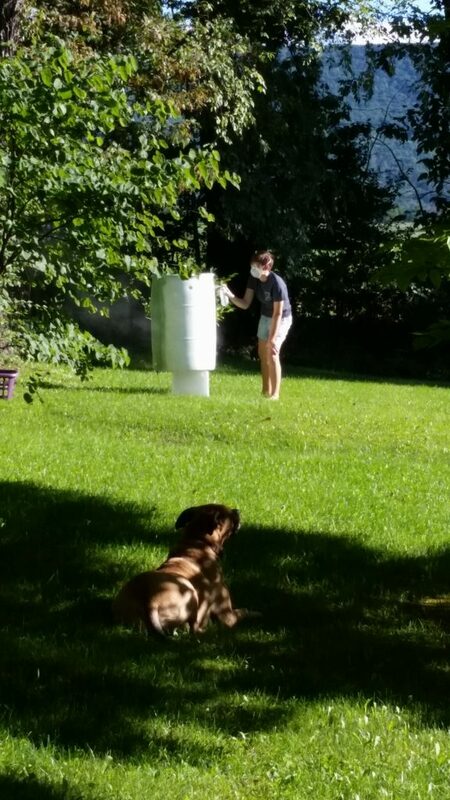 We have talked a few times about getting a rain barrel to help supplement the water we use for food crops, and this year we got one. 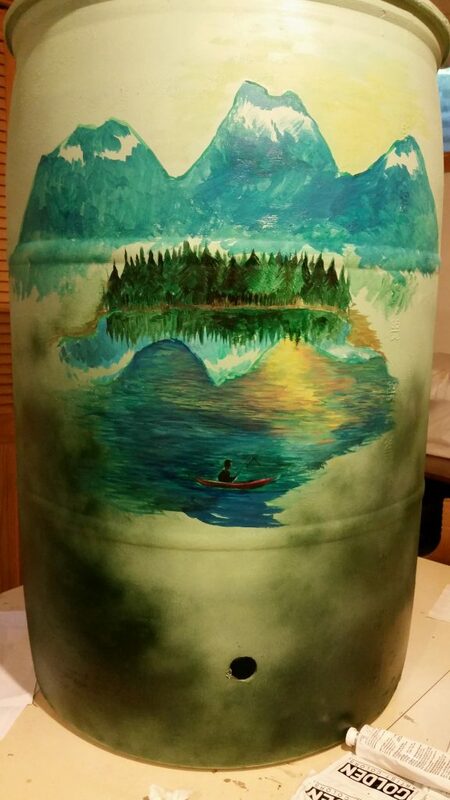 In researching rain barrels, we saw images of some with beautiful paintings on them. 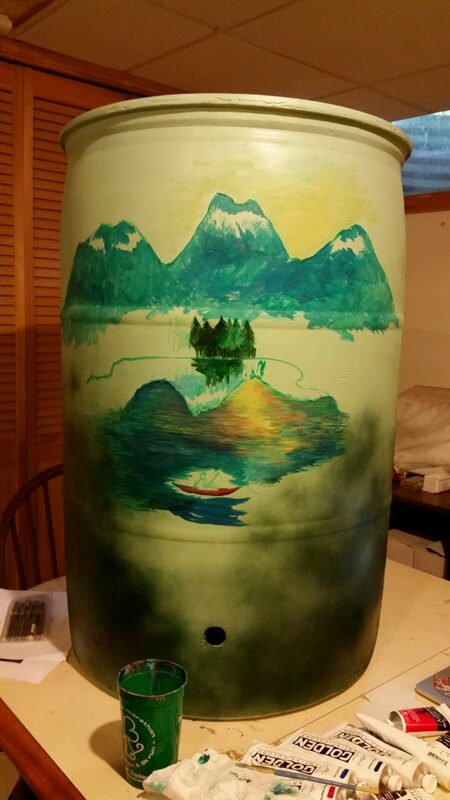 Given that we have amazing artists in the family, and the one who excels in painting was going to be home for a month, it seemed a shame to leave the rain barrel in its plain state. 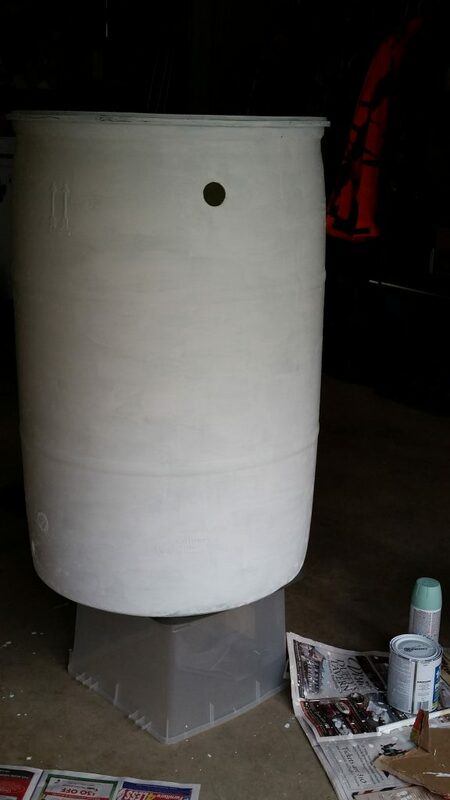 Here are some images of the rain barrel project. Finished and we LOVE it! Yard art at its FINEST!